3. Enjoy Daegu Tour with fun and kind staff! Daegu is a city famous for its hotter temperature in Summer than Africa. It is hot, but at the same time, Daegu is a great place for coffee-lover, E-world Theme Park, and ponds. 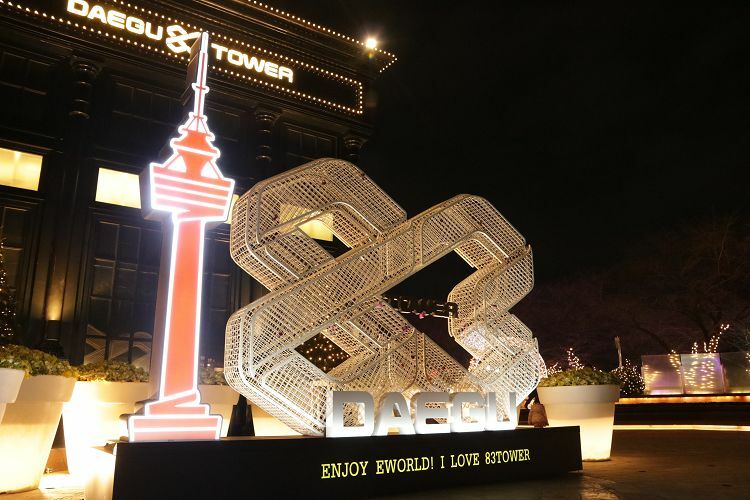 Join this tour and visit Daegu E-world comfortably! E-world is a play culture space with more than 30 attractions, animal farms, ice-link, etc. It runs various seasonal festivals and visited by many tourists in Seoul, Busan, and elsewhere. • E-world at night is so beautiful! 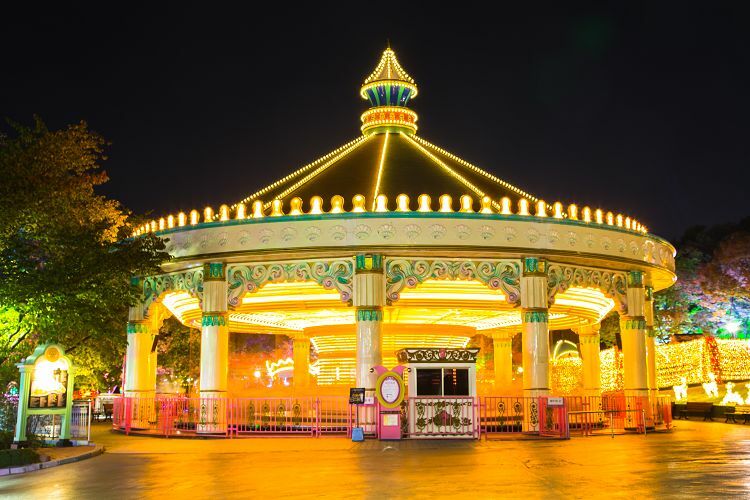 • There are a variety of attractions that everyone can enjoy and feel happy! 83 Tower, N Seoul Tower of Daegu, is a symbol of Daegu and offers an incredible view of the entire city. The tower also has a revolving restaurant and Sky Lounge, offering top class cuisine and night views of the city. • Tower of Korea’s traditional architectural beauty. • A beautiful view of Daegu can be seen. 1. Depending on the traffic situation, the schedule may be delayed on weekends.